February 10, 2019, is likely a date that Kacey Musgraves will never forget. The singer-songwriter swept all three of the country categories in which she was nominated including, Best Country Solo Performance for “Butterflies,” Best Country Song for “Space Cowboy,” a song she co-wrote with Luke Laird and Shane McAnally, and Best Country Album for Golden Hour. She is also the only country artists in the running for one of the night’s biggest awards, Album of the Year. But, it is perhaps her solo performance during the live Grammy Awards show that people will remember most. 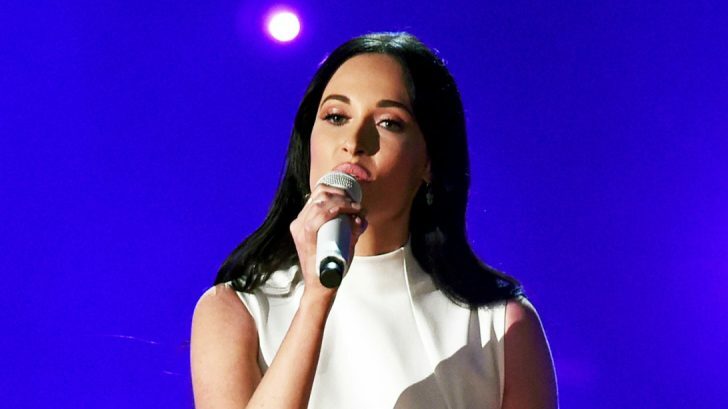 In a stark contrast to the rest of the night’s performances, Kacey stood alone onstage, backed only by a piano, for a flawless, simple rendition of “Rainbow,” a letter of sorts that she wrote to herself years ago. It was also the final song Musgraves’ grandmother heard her write. She loved it so much that Musgraves sang it at her funeral. It has since become a message of hope for anyone struggling through life. It was important to Kacey that the song tell it’s own story. So, instead of a full studio musician sound, she opted to let the lyrics and her voice tell their own story. The result was a masterpiece and has become one of the most beloved tracks on Kacey’s Golden Hour album. Listen to Kacey Musgraves sing “Rainbow” live at the 2019 Grammy Awards in the video below.